This was supposed to be their year. The Mariners won 87 games last season and missed the playoffs by just one game. 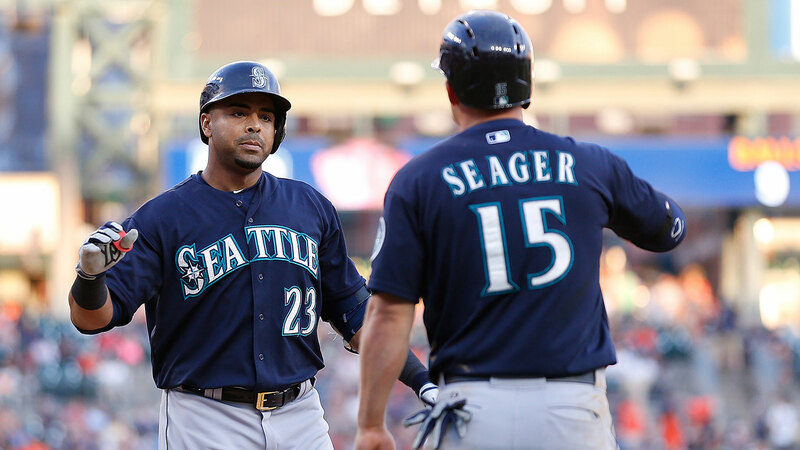 Heading into 2015 with a rotation anchored by Felix Hernandez, a second year for imported star Robinson Cano, and the addition of veteran slugger Nelson Cruz, Seattle was the popular pick to storm through a wide-open American League and into October. The computers liked the M’s, too, as FanGraphs had their playoff odds at 69.8 percent — the highest in the AL — on the eve of Opening Day. You can point to plenty of reasons for this year’s disappointment. There’s the bullpen that went from baseball’s best ERA to a 2015 disaster. Cano forgot how to hit. Hisashi Iwakuma got hurt. Austin Jackson turned into a pumpkin. And ludicrous experiments, like Rickie Weeks in the outfield, failed to the surprise of zero people in the universe except the guy who acquired him. But the biggest reason the M’s have fallen on their faces this year is the same factor that has essentially torpedoed the entirety of GM Jack Zduriencik’s tenure and the same one that makes their outlook so murky: They’re terrible at developing prospects. On Tuesday, the Milwaukee Brewers announced that Doug Melvin was stepping down as GM. Melvin took over the club after its disastrous 56-106 season, and the team steadily improved under his watch: It ended a 26-year playoff drought in 2008, then won the NL Central with a franchise-record 96 wins in 2011. One of the key voices in Milwaukee’s rise was Zduriencik, the man now in charge in Seattle. Zduriencik spent nine years (1999-2008) with the Brewers, seven of those as scouting director. Milwaukee’s success in drafting and developing key players like Prince Fielder, Ryan Braun, Corey Hart, Yovani Gallardo, and Weeks during his tenure earned him the first Baseball America Major League Executive of the Year Award ever given to a non-GM (in 2007). A year later, it netted him the GM job with the Mariners. Since then, the Mariners have done … almost nothing. One of the advantages of being a bad team is that you get to collect loads of high draft picks. The final year of Bill Bavasi’s tenure as Mariners GM was also the team’s worst result in 14 years. That gave Seattle the second overall pick in the 2009 draft. For Zduriencik, a new GM who made his bones drafting premium prospects and seeing several of them turn into front-line players, this was a golden opportunity. After the Nationals tabbed Stephen Strasburg first overall, the M’s picked Dustin Ackley. To say Ackley was a star at the University of North Carolina would be a huge understatement: He batted .412 as a Tar Heel, with a .489 on-base percentage and a reputation as a master of strike-zone judgment, thanks to 133 walks against just 82 strikeouts. He was the first three-time All-American in the history of UNC baseball. And Rivals.com named him the best collegiate hitter of the entire decade. Ackley didn’t develop much power as he climbed the minor league ranks, but he did continue to flash that excellent batting eye, which was his ticket to the big leagues all along. Splitting time between Double-A and Triple-A in 2010, he drew 75 walks against 79 strikeouts. In 66 games the next season at Triple-A Tacoma, Ackley batted .303/.421/.487, with 55 walks and just 38 strikeouts. Called up to make his MLB debut on June 17, Ackley hit .273/.348/.417 in 90 games as rookie, numbers that were 17 percent better than league average by wRC+. That impressive rookie season, combined with a very nice minor league résumé, suggested big things to come. Then, Ackley’s numbers went to hell. He posted sub-.300 OBP seasons in three of the next four seasons. And from 2012 through this season with the M’s, he completely lost his ability to distinguish balls from strikes, fanning nearly 2.5 times more than he walked. 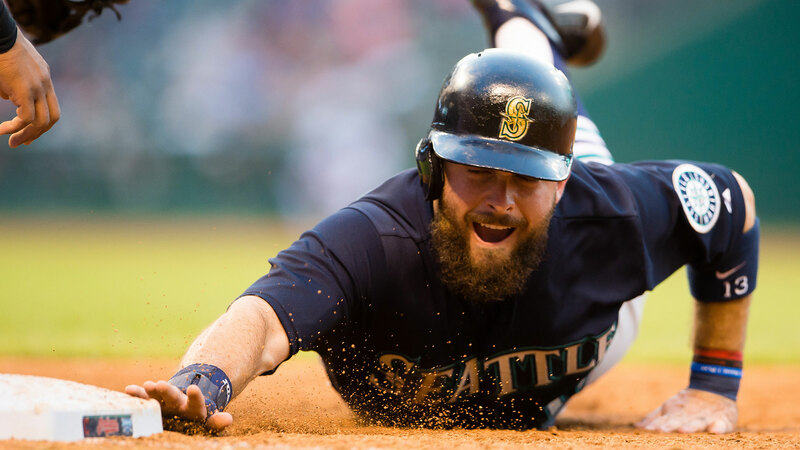 Once this year’s trade deadline arrived, the Mariners saw Ackley as a lost cause and dealt him to the Yankees on July 30 for two nonprospects. At age 27, he might be done as a useful big league player. Every team has seen a top prospect flame out, of course, but for Seattle, it doesn’t end with Ackley. With the 27th pick in that same 2009 draft, the Mariners took Florida high school shortstop Nick Franklin. Ranked a top-50 prospect by Baseball Prospectus (in 2011) and MLB.com (in 2013), Franklin played 102 games as a 22-year-old rookie and batted just .225/.303/.382. Already moved off shortstop in the minors because of his lack of range, he showed he couldn’t play second base in the majors, either. He’s had just 153 at-bats since then, and at age 24, he also might be done as a useful big league player. In the 2010 draft, the M’s, who scored 52 fewer runs than they allowed but still somehow won 85 games in 2009, should’ve had the 18th pick. Instead, Seattle sacrificed its first-round pick to sign top-10 MVP finisher Chone Figgins to a four-year, $36 million contract. Figgins ended up stinking, and he was gone by Year 3. That move would look like a much bigger failure if the team had shown the ability to develop any of its young players in the following seasons. In July 2010, the M’s traded Cliff Lee to the Rangers for a haul that featured 23-year-old Justin Smoak. Though Smoak started his major league career with shaky numbers in Texas, the M’s figured they were getting a gem, a former first-round pick with potential to be a star. He lasted four years as a Mariner, batting just .226/.308/.384, and now plays in Toronto. Pick your favorite touted Mariners prospect and the story’s the same. A miserable 2010 season begat another no. 2 overall pick in 2011. That became left-hander Danny Hultzen, who’s struggled mightily with injuries and has yet to play a major league game. A star at the University of Virginia, Hultzen was considered the safe, low-floor play over future Nationals star Anthony Rendon, whom the M’s strongly considered. With the 12th overall pick in the 2013 draft, the Mariners took another supposedly low-risk player, infielder D.J. Peterson from the University of New Mexico. After putting up superficially gaudy numbers in mostly hitter-friendly environments throughout the minors, he hasn’t hit a lick this year. And when the Mariners traded Michael Pineda for 21-year-old Jesus Montero in 2012, it looked like they were getting a slugger who could anchor the middle of their lineup for years to come. Four years later, at age 25, he’s barely hanging on to a roster spot. Maybe the most painful example of failed expectations is Mike Zunino. The no. 3 pick in the 2012 draft out of the University of Florida, Zunino was expected to provide both strong defense and a strong all-around bat from the catcher position. But the lack of organizational options — and possibly some pressure around Zduriencik’s job status — prompted the M’s to call Zunino up just a year after getting drafted. He wasn’t ready: In 2013, Zunino batted just .214/.290/.329 in 52 games and frequently looked lost at the plate. It’s only grown worse since then: In 286 career games, he’s batting .191/.252/.353 and has struck out an unfathomable 328 times in 932 at-bats (with just 53 walks). The Mariners now are essentially the polar opposite of a club like the Cardinals. While years of successful player evaluation and development have snowballed into incredible organizational depth and perennial success in St. Louis, the mounting impact of prospect whiffs has left the M’s with a Swiss-cheese collection of position players. Recent additions include an All-Star import in Cruz, an exceedingly rare homegrown success story in Kyle Seager, and a whole lot of frustration. Some of those mounting problems precede Zduriencik. The M’s taking Jeff Clement over Troy Tulowitzki and many other top talents in the 2005 draft hurt, as did trading Adam Jones, Chris Tillman, and half the farm system for Erik Bedard in 2008. By the time Zduriencik arrived, the cupboard was bare and the mandate was clear: Do what you did in Milwaukee so the Mariners can be a winning team again soon. Pinpointing why, exactly, the M’s have failed to usher top prospects into big league prominence is a tougher task. In hindsight, trying to emulate the big-bat/bad-defense approach that got Zduriencik players like Fielder and Weeks looks like it was a bad blueprint in spacious Safeco Field, where slow, unathletic players like Smoak and Montero became bad fits. A lack of viable alternatives led to rushing players like Zunino. And banking on positional nomads like Franklin and Ackley was already a risky play, one made much worse when both players forgot how to hit. One of the hidden advantages among the best organizations in baseball is that they all have a collection of ace minor league instructors and coaches. These people serve as key cogs in the development machine, and they can be hired and retained for relative pennies compared to the eventual impact they have on the big league squad. Granted, it’s nearly impossible to isolate Seattle’s minor league staff and put all the blame on them. Plus, bad luck and subpar scouting could be playing a big role, too. In the end, the burden of acquiring all of those incapable young players falls on the men at the top of the organizational ladder. Past and present members of the Mariners organization say a lot of the blame for the last decade-plus of institutional failure falls on the wayward leadership of Howard Lincoln, the longtime Nintendo executive who’s been the silent force behind the club for decades. As the team’s CEO, Lincoln’s not going anywhere, though. And that leaves Zduriencik in the crosshairs. Even after signing a two-year extension last year, Seattle’s awful season after spending far more money than ever before puts the GM’s job in jeopardy. Seattle’s woes might not be all Zduriencik’s fault. But when this season ends and the hammer falls, he better watch out. This is assuming the Blue Jays qualify for the postseason.